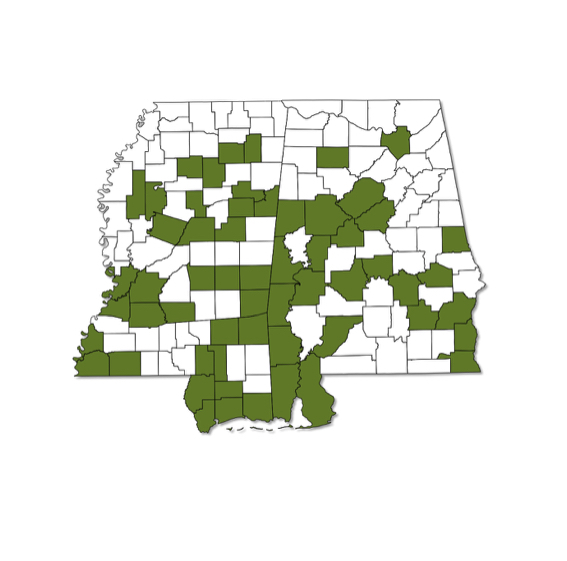 Occurs throughout most of Alabama and Mississippi, may be absent from northernmost counties. A tiny orange skipper with a white stripe on the ventral hindwing that extends from base of wing to the margin. Upper surface of wings mostly orange with dark areas at the base.